Places are limited so please book early in advance to avoid disappointment. 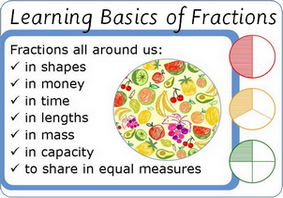 These important and challenging are covered at primary school; time, money and fractions. A eight week course for just £100.00. 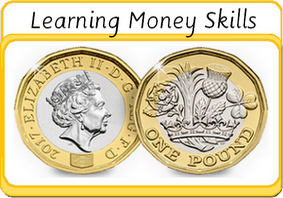 Free Workbook worth £4.50 is included. 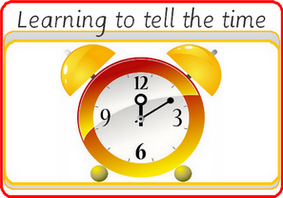 recognise and use the analogue clock face. tell the time to the hour and half past to the hour. tell the time to quarter past and quarter to the hour. tell the time one hour later and earlier. write Roman numbers on the clock face. tell the time in five minutes intervals. use fraction to split a shape. use fraction to share from a given amount. use fraction to calculate money. use fraction to calculate time. use fraction to find other quantities. Great Ideas for bringing maths into everyday language and experiences. Reminder to use maths phrases in everyday situations. Dad: Very informative. Thank you. Daughter: Thank you. This has helped. The workshop has given me information on how to support my children with maths in Key Stage 2 in everyday life and not just by using worksheet. Fantastic! Excellent Workshop. When you are talking about your workbooks hand them out so parents can look through it whilst/before you talk about them. Lovely bookmaks! It would be more fascinating if children do get to do some practical work that will be more fun and entertaining i.e. competition or working with any thing else. The session was very well presented, however my children felt it lacked an element of fun. At their age they prefer more practical work and greater interaction. The workshop has certainly given me some food for thought and even though I incorporate maths in our daily lives, I have realised there is so much more I can do. Thank you for organising the session. 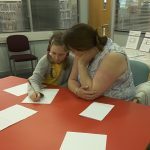 This Maths matter workshop was especially designed firstly, for parents and children to become aware of the use of maths in their daily routine activities. Secondly, give practical ideas to parents so they can incorporate mathematical calculations and the buzz words primary school pupils are expected to know. However, I am planning more topic specific maths workshop and will certainly consider incorporating an element of competition or some prize winning activity. To book a Free Maths-Matter Workshop in your school, community center, book shop or library.